I spent about a year restoring APSARA as a Christmas present for my wife. Now my son, my wife and and I sail her in Long Beach Harbor. 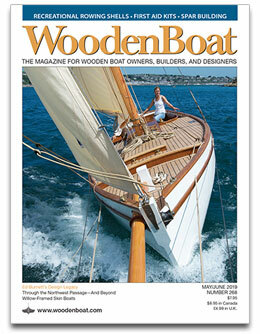 She is made of 3/4″ plywood with a mahogany veneer deck, aluminum mast and swinging center board, and a wood boom. She is a member of Snipe Fleet 24 which is made up of mostly vintage wooden Snipes. We could not find any history on her and it is thought she may have been a kit boat. 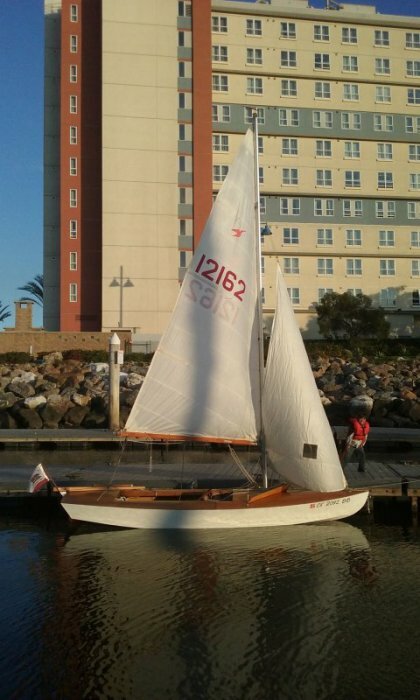 SCIRA re-issued her sail number from a dismantled boat in our area. I named her for a traditional symbol of my wife’s culture.